Discussion in 'Guides & Hero Builds' started by Kiasaru, Aug 28, 2018. Recently my friend gave me the news that Chase has been ranked #1 DPS for WorldBoss2, Protianus. 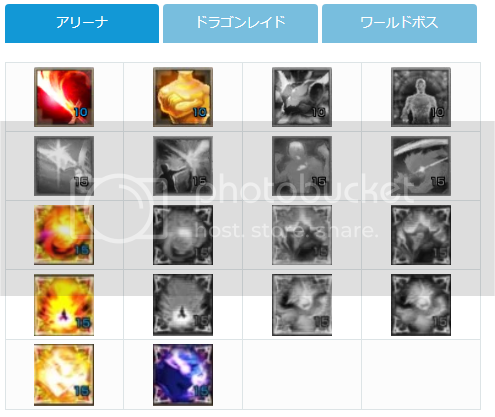 According to Japan this is their Hero and T5 Build for Chase. I'm just sharing their info! I'm also adding my own info into this guide. Have these stats: Atk, Atk Spd, Crit and Crit Dmg. Optional: Max HP (having more HP to burn would help with him T5 perk, Chase [Dark]. !This can only be acquired from T8 tickets or summons if you're lucky! I would recommend to keep at least 2 BD on. If by bad luck you do not have good healers to heal chase fast enough due to his skills and perks draining his hp away, by cancelling out his 2nd skill he can be healed easier and with the mp stacked you can go use remove limit again and use his 1st and 3rd skills immediately. Having 2 ID which increases his Max HP would also help with his T5 Dark perk. Increases own Crit DMG by 20% Upon auto attack, deals P.DMG equal to 30% of ATK with [Flame of Monolith] and recovers HP equal to 20% of DMG. When [Remove Limit] is active, the effect of [Flame of Monolith] is doubled. I would recommend UT2 on Chase if you have the Remove Limit Dark perk activated. Basically use UT2 for DragonRaids/WorldBoss for recovery so he can last longer and UT1 for Arena to deal more DMG. Uses 2 Mana Crystals and 12 second cooldown. Prevents the target from receiving positive effects for 4 seconds, and attacks to inflict 172,198 P.DMG and knocks the target back. Inflicts 66,147 P.DMG after 1 second to enemies around the target and stuns them for 4 seconds. Uses 3 Mana Crystals & 10 second cooldown. Upon activation, [Remove Limit] takes effect. When activated, consumes 10% of current HP to remove all negative effects on self and deals 179,376 P.DMG to nearby enemies in range. Wile [Remove Limit]is activated, consumes 2.5% of current HP ever 1 second, gains immunity to CC, and increases Crit DMG by 50% and ATK Spd by 350. HP Consumption and the increase in Crit DMG and ATK Spd grow larger as time passes. This effect cannot be dispelled and is automatically deactivated when HP is under 25%. Charges at an enemy dealing 115,781 P.DMG and knocking it down, and explodes the ground around self to attack 4 times, dealing a total of 228,364 P.DMG and inflicting Stun for 4 seconds. Recovers HP equal to 25% of DMG. Not affected by Lifesteal stats. Instead, increases Max HP by 210,768, Crit by 250, CC ACC by 100, and ACC by 100. If receiving damage that leads to death, resurrects for 5 seconds with increased Crit DMG by 40%, and increased ATK Spd by 400. The resurrection effect is only activated once per battle, and the resurrected Chase cannot use skills. 20 HP Boost is increased by 10%. 60 HP Boost is increased by 15%. 120 HP Boost is increased by 25%. [Dark] The inflicted target takes 25% more P.DMG for 10 seconds. [Light] Enemies hit are stunned for 2 sec. [Dark] HP consumption per sec is increased by 100% and ATK Spd, Crit DMG boost is doubled. [Light] Gains Immunity to CC while in use. [Dark] Increases the Stun duration by 1 second. [Dark] Upon the activation of resurrection, knocks back nearby enemies in range for 3 seconds. With Spear of Fury [Light], Chase will gain CC immunity while the skill is in use. 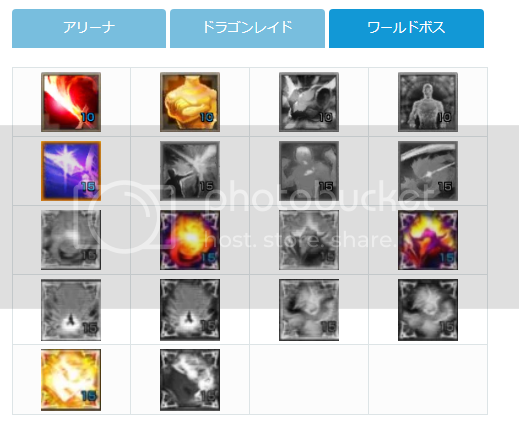 With Chase[Dark], if you were to use Remove Limit, every time Chase loses 1% of his HP, his Crit Dmg increases by 1% and his ATK Spd is increases by 4. He's basically a whacking machine at this point haha. From what i personally understand, you're trying to make as much use of Chase with his HP dropping like air, dealing as much damage as possible. 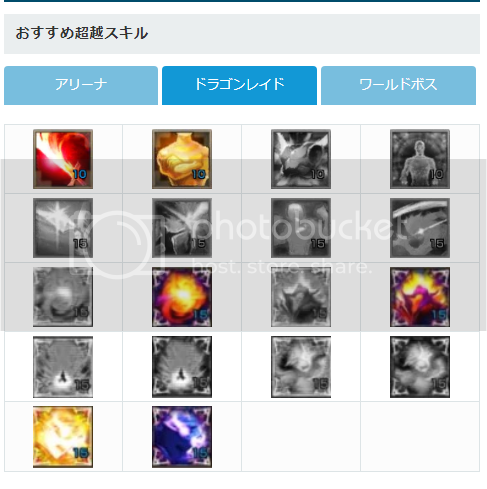 According to Japan this is their Hero and T5 Build for Chase. Hi just checking real quick, is it safe to assume you followed their guide and pasted it onto here? Can we have a source link just in case, if that's the case? Edited with original info from the japan website! Gears options: 6 Attack, 3 Crit, 3 Pen and 4 Crit Damage. Runes: UW: 3 Attack. Armor: Crit Damage. Secondary: Crit. Those options seems pretty good in my opinion. good luck with chase! Do you know how to get the tickets except of events maybe ? T8 tickets? they're in the Forge Shops under Tier 8. you just need to farm dragon raids. Each T8 ticket costs 460,800 raid points. you can also get some tickets by clearing the repositorium in chapter 6. In Achievements under Adventures. there's goals to clear the repositorium and it will reward you with T8 tickets. Ice Dragon set helps with his T5 Dark perk so why not right lol. More HP to burn for this suicidal character T_T.